Fran Jurga`s Hoof Blog: News from Hoofcare + Lameness: Palatable pergolide paste for PPID: BEVA award for Rendle presentation on clinical research into new treatment option for "equine cushings disease"
Palatable pergolide paste for PPID: BEVA award for Rendle presentation on clinical research into new treatment option for "equine cushings disease"
Many ponies and horses suffer from pituitary pars intermedia dysfunction (PPID), known in the past as equine cushings disease. Among the common clinical signs of the endocrine-related condition, seen commonly in older (but not exclusively older) animals are long, non-shedding coats and chronic laminitis. PPID can, in most cases, be successfully managed by the medication pergolide mesylate, which is currently only FDA-approved in a poorly palatable tablet. A recent presentation on an alternative form of the medication has been recognized with a prize from the British Equine Veterinary Association. Research into what may one day be a significant advance in options for the treatment of horses with pituitary pars intermedia dysfunction (PPID), once known as equine cushings disease, has received an award in the United Kingdom. 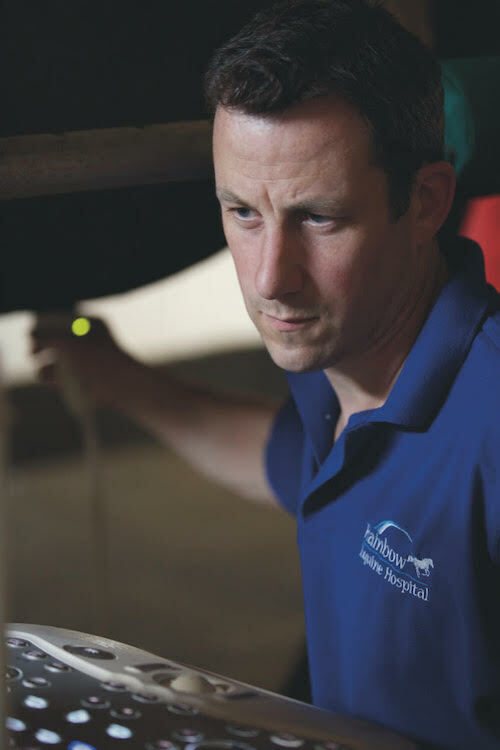 Today the British Equine Veterinary Association (BEVA) announced that the winner of its annual Sam Hignett Award is equine veterinarian David Rendle, for his presentation at the 2018 BEVA Congress. Rendle was recognized for his clinical research presentation, "Efficacy of a novel palatable pergolide paste formulation for the treatment of pituitary pars intermedia dysfunction (PPID) in ponies". Options for medicating horses with PPID would be welcome in the field, especially since undiagnosed or untreated PPID horses and ponies may suffer from chronic and debilitating laminitis. In his lecture, Rendle noted both the poor palatability of the current FDA-approved tablet form of pergolide mesylate, and the difficulty in ascertaining proper dosage. The unstable nature of pergolide makes options like splitting pills difficult or non-productive in managing the condition. For his study, Rendle identified 19 ponies that had not responded successfully to medication with pergolide in the tablet form. After reviewing the ponies' clinical and endocrinological status, and verifying the diagnoses, he began medicating them with a palatable paste form of pergolide (BOVA UK). Hormone levels improved in 74% (14/19) of the ponies in the test group. Insulin concentration was not affected. One pony developed laminitis, another lost its appetite (which was managed with dosage adjustment) and a third simply refused to eat the paste. The paper outlined the difficulties of administering tablets to horses, particularly when the dose is only a fraction of a tablet and also explained that horses might respond better to treatment if smaller amounts of pergolide were administered twice daily rather than once daily. The new pergolide formulation overcomes these issues by allowing accurate administration of very small volume of molasses flavoured paste produced specifically for horses. 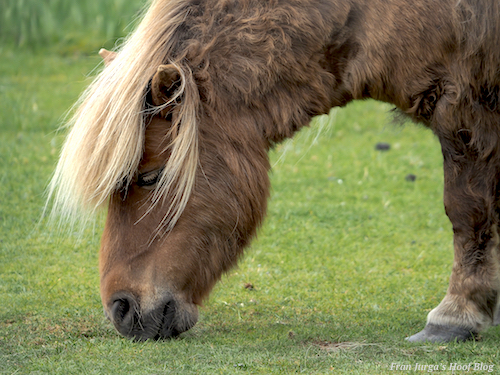 In spite of the small number of ponies in the study, and the limitation that the treating veterinarians were not blinded to the study methods, Rendle judged the paste to be both palatable to the ponies and effective in treating PPID. David Rendle said: “Although pergolide paste is available in the UK through veterinary surgeons, it is not a licensed medicine and needs to go through a proper registration process in order to become licensed. This will involve larger and more robust investigations of safety and efficacy to build on this initial pilot study." Note: In the United States, Prascend® (pergolide in tablet form), sold by Boehringer Ingelheim Vetmedica, Inc, is the only FDA-approved formulation of pergolide for use in horses. Both liquid and paste forms of the medication are available here as compounded formulations, but are not FDA-approved and may not be comparable to the paste tested by David Rendle in the UK. David Rendle is a specialist in equine medicine at Rainbow Equine Hospital in North Yorkshire, England. He was selected for the Sam Hignett Award from those presenting Clinical Research papers at BEVA Congress 2018. The abstract for the presentation, "Efficacy of a novel palatable pergolide paste formulation for the treatment of pituitary pars intermedia dysfunction (PPID) in ponies", can be viewed (free access) in the Clinical Research Abstracts of the British Equine Veterinary Association Congress 2018, published as a supplement to the September edition of the Equine Veterinary Journal. BEVA presents a series of awards at BEVA Congress each year, to some of the profession’s most outstanding contributors to equine veterinary science, health and welfare. The Sam Hignett Award is given for the best clinical research presentation from general equine practice. Also announced by BEVA today: This year’s reciprocal BEVA/Voorjaarsdagen Award winner is Adam Redpath, for his paper "Aminoglycoside Antibiotics; still essential in equine practice?" · The EVJ Literary Award for Video Abstracts, sponsored by IMV Imaging: Dr Thomas van Bergen. This article is based on a press release from BEVA. For further information on the BEVA Awards and the upcoming BEVA 2019 Congress, visit www.bevacongress.org. The clever new BEVA Congress logo is at left. © Fran Jurga and Hoofcare Publishing; Fran Jurga's Hoof Blog is the news service for Hoofcare and Lameness Publishing. Please, no re-use of text or images on other sites or social media without permission--please link instead. (Please ask if you need help.) The Hoof Blog may be read online at the blog page, checked via RSS feed, or received via a headlines-link email (requires signup in box at top right of blog page). Use the little envelope symbol below to email this article to others. The "translator" tool in the right sidebar will convert this article (roughly) to the language of your choice. Be sure to "like" the Hoofcare and Lameness Facebook page and click on "get notifications" under the page's "like" button to keep up with the hoof news on Facebook. Questions or problems with the Hoof Blog? Click here to send an email hoofblog@gmail.com. Thank you for sharing this article on Facebook, Twitter, and other social media; just click on the small symbols below the labels to open an easy-share window.